we can enter the details of sales and services there. For each transaction it is important to classify the goods or services with his SAC or HSN code. This is a purchase register. Here we can enter the data of both purchase of service and goods. The combined GST rate is being discussed by government. The rate is expected around 18% to 22%. After the Total GST Rate is arrived at, the States and the Centre will decide on the CGST and SGST rates. Subscription Sheet of Incorporation: Now, the type written or printed particulars of the subscribers and witnesses shall be allowed as if it is written by the subscriber and witness so long as they appends his or her signature or thumb impression. Proofs of Subscribers* : In case the subscriber is already holding a valid DIN, and theparticulars provided therein have been updated as on the date of application, and the declaration to this effect is given in the application, the proof of identity and residence need not be attached. Form INC-10 is omitted. : Now, no need to attach Form INC-10 in Incorporation application. 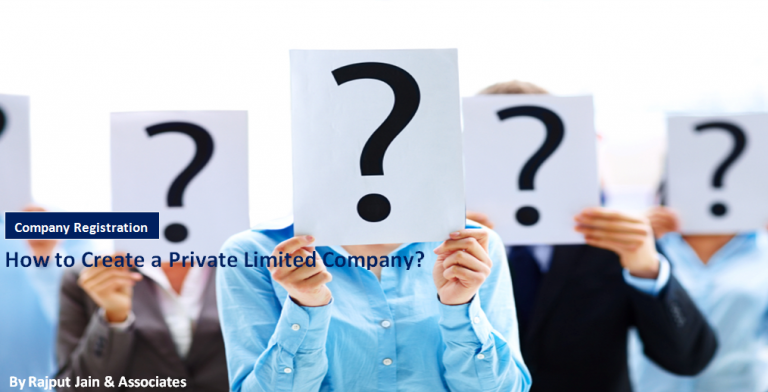 Publication of name by Company: Every company which has a website for conducting online business or otherwise, shall disclose/publish its name, address of its registered office, CIN, etc. on the landing/home page of the said website. NOC from RBI to be attached with Form INC-23, in case Company is registered NBFC. In case of Listed Company, now no need to serve notice alongwith copy of application to SEBI. 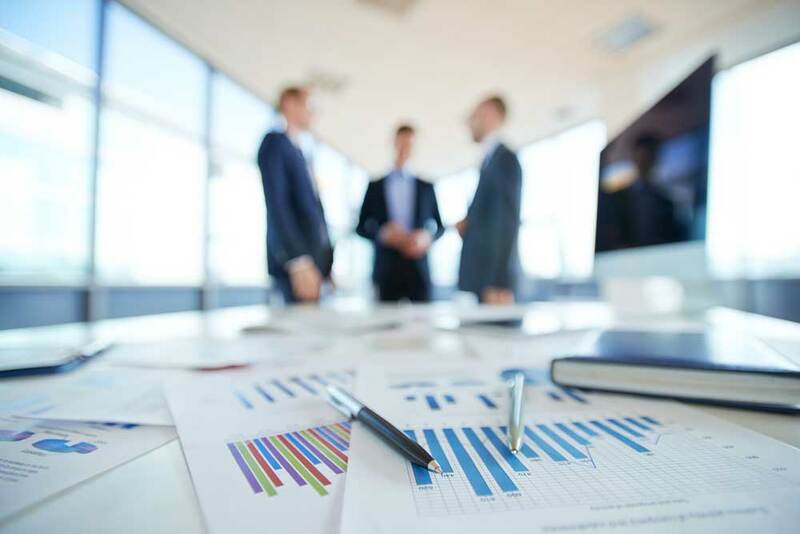 Yesterday, the Cabinet approved liberalization of foreign investment norms for the non-banking finance companies (NBFCs), in yet another measure aimed at improving the ease of doing business. At present, only investments in 18 specified NBFC activities are permitted under the automatic route. Foreign investment (FDI) in all NBFC activities can now come under the automatic route provided they are regulated by any of the financial sector regulators. Entities not regulated by any of the regulators will need approval from the Foreign Investment Promotion Board (FIPB). The Cabinet also did away with minimum capital requirements, saying that such requirements are already imposed by regulators. Extension to 29.10.2016, of Last Date of filing of e-forms AOC-4 , AOC-4 XBRL, AOC-4 (CFS), & MGT-7. Circular No.08/2016 Dated 29.07.2016. 15-08-16 is the last date for Issue of TDS certificates in form 16A for quarter ended 30-6-16 by all deductors. Be honest when in trouble, be simple when in wealth, be polite when in authority and be silent when in anger. Query: We have a query regarding the regularization of Additional director in a Private Limited Company. We want to change designation of a person from additional director to Director Are we required to re appoint him as the Director in the Annual General Meeting of the Company as he is suppose to retire in the ensuing Annual General Meeting or else. Please advise us that how can we change his designation from additional director to Director? Answer: You shall have to convene an Extra ordinary General meeting of the Company or you may regularize him in the ensuing Annual General Meeting also, for the purpose. Thereafter, you need to file Form DIR-12 and purpose selected should be “Change in Designation” and attach the copy of Resolution passed in the General Meeting of the Company with the Form. · Extension to 29.10.2016, of Last Date of filing of e-forms AOC-4 , AOC-4 XBRL, AOC-4 (CFS), & MGT-7. Circular No.08/2016 Dated 29.07.2016. · 15-08-16 is the last date for Issue of TDS certificates in form 16A for quarter ended 30-6-16 by all deductors. After a long period of histrionics and haggling, the Goods and Services tax(GST) bill was finally passed in the Rajya Sabha & Loke Sabha by amending the constitution which can be considered as a historic day in the Rajya Sabha and leter on in Loke Sabha. This would pave the way for the “one country, one tax” concept. With all the parties pledging support except for the AIADMK, the Rajya Sabha has passed GST which is a constitutional amendment by taking in two thirds of majority. The amendments kept forward by the finance minister, Mr. Arun Jaitley were also taken into consideration. The bill shall now be sent back to the lower house for its approval. This constitutional amendment of GST shall now enable both central and the state governments to levy the GST simultaneously,which shall subsume all the indirect taxes which are currently levied inclusive of service tax and excise duties. Rather than on production, it will now be levied on the basis of consumption. The GST Bill amendments adopted by the Rajya Sabha last week were unanimously passed by the Lok Sabha on Monday 10 Aug 2016. The GST will include 2 components in reference to the federal structure of our country: the State GST(SGST) and the Central GST(CGST). The shift from various indirect taxes to the GST Regime will now lead to a seamless and a uniform market across India. GST will boost (increase) growth rates,check evasion and will bring into force a uniform rate said the Finance Minister Mr. Arun Jaitley while he initiated the debate. Mr. Chidambaram, the lead speaker of the Congress party made it very clear that main opposition party shall support long pending GST Bill on the condition that the government would give an assurance on 2 important things: Keeping the GST rate fixed at 18% in the ongoing subsequent legislation for roll-out of GST and bringing GST as a financial bill and not money bills, to which the Rajya Sabha will vote on and not just discuss. What is the impact of GST on real estate industries of INDIA? The introduction of GST would enhance attractions of other countries towards India as the investment destination through encouraging easier operations and higher transparency especially in property deals. In short term basis, the warehousing segment and industrial property shall be the most beneficial sectors of GST Adoption. However nothing can be firmly said if adoption of GST system will definitely bring the prices down in residential and commercial segments as sales of immovable property on which stamp duty continues to apply is outside the ambit of GST. As said earlier, in short run, the warehousing and industrial property sector shall be the prime beneficiary of Adoption of GST. The decision of establishing a warehouse shall no longer be on the base of tax arbitrage. It will be based on achievement of solving the optimal logistics. This will reduce the number of octroi checkpoints leading to considerable reduction in transportation time. Further, the Logistics companies shall look forward to establish large warehouses located on transit corridors. We can therefore see the development of spoke and hub system in the warehousing, the spokes being on feeder lines and hubs on the transit corridors. We thus are expecting the nation to become a massive large market by cost of products being brought down. Further, the recent Modi government initiatives like 100% FDI in e-commerce sector and “Make in India” shall also boost the warehousing and manufacturing sector. Various international players like E-bay and Amazon have entered Indian markets already and have started to occupy large spaces in warehouses to gain their share in the E-commerce industry. Commercial leasing makes up for the larger portion of commercial property business in our country. Currently, commercial property leasing is considered as a service under finance act,1994 and is thus is taxed as per service tax. The service tax being applicable at 15%. After the introduction of GST, it is assumed that this treatment shall remain unchanged and commercial property leasing will be subject to GST. The negative or the positive impact is primarily dependable on the GST rate which is applicable. Moreover, adding to this is the ambiguity about availability of GST tax credit which is paid on the procurement of services and goods during the phase of construction. Residential property leasing is currently not subject to service tax. This treatment is more likely to remain unchanged under GST Regime too. Sale of property which is under construction shall be covered under GST Regime. However, in present times it looks like there wouldn’t be much difference besides the fact being all forms of indirect taxes shall be clubbed under one single heading. Some benefit can be expected only if GST tax credit will be made available for developers for GST paid on services and goods. The sale of immovable property which is completed will in no way be impacted by GST as these transactions are outside the ambit of GST. On these transactions, stamp duty shall be made payable. To conclude it, we can expect the GST to increase(boost) the overall demand on real estate, especially on warehousing and industrial sector, due to impact on economy being positive overall. From the perspective of cost, more precision is required on various transactions on the applicability of GST tax credits. The developers must be able to get overall credit for various taxes paid on inputs if proper application of mechanism of credit utilisation is made. This will eventually lead to reduce the overall cost. ST: Erection Commissioning or Installation Services – receipt of labour charges for installation and commissioning of GRP Pipes for various customers – The pipes that the respondent / assessee had to lay were not plant machinery or equipment – demand was rightly set aside – Addn.C.C.E. Vs. M/s Strategic Engineering Pvt. Ltd. (Madras High Court). DVAT prescribes Delhi Sugam-2 (DS2) to be produced at check-post or barrier for bringing the goods in Delhi – Notification No.F.7(433)/Policy-II/VAT/2012/PF/1259-70, dt.08 JAN 2016. DVAT specifies Conditions for downloading Central Statutory forms online – Notification No.F.3(556)/Policy/VAT/2015/1271-82, dt.08 JAN 2016. ICAI invites comments on any aspect of exposure draft of IND AS 102, share based payments, issued by the Accounting Board of the Institute of Chartered Accountants of India dated on 4/8/2016. RBI launched new website named “sachet” on Thursday, where information regarding entities that are allowed to accept deposits, lodge complaints, and share information regarding illegal acceptance of deposits by unscrupulous entities can be obtained. 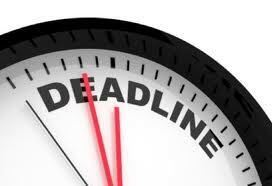 Income tax department extends ITR-V verification deadline till 31 JAN 2016. 10.08.16 is last date to file ER-1,2 & 6 for Excise returns by Non SSI assesses, EOUs,& by units paying duty of more than 1Cr respectively, for July 2016. Why we have so many temples when god is everywhere? An intelligent man said air is everywhere, but we still need a fan to feel it. Assessee having eligible industry and availing deduction under section 80-IB, will not be entitled for same in respect of income from DEPB and DEPB Premium. Constitution (122nd) Amendment Bill, 2014 enabling levy of GST by Central Govt. as well as State Govts. is finally passed by Rajya Sabha with 100% in favour of the same. Now it shall go back to Lok Sabha to approve the amendments made by Rajya Sabha. Thereafter it shall be ratified by at least 16 States before being presented to the Hon’ble President for his assent. Order passed by DG allowing confidentiality of documents couldn’t be subject matter of appeal: CCI. No service tax could be levied if there was a transfer of right to use goods irrespective of the fact that the transfer was non-exclusive. Extension of last date of filing Form AOC-4, AOC-4 XBRL, AOC-4 CFS & MGT-7 under the Companies Act, 2013. MCA issues The Companies (Accounts) Amendment Rules, 2016. MCA Notification dated 27.07.2016. MCA releases Companies (Incorporation) Third Amendment Rules, 2016. MCA Notification dated 27.07.2016. New RBI norms rule out banking licences for big corporates. · Extension of last date of filing of Income tax returns for the FY 2015-2016 (AY 2016-17) from31.07.2016 to 05.08.2016. For J&K assessees last date is 31.08.2016. GST Comming Soon – One tax One India. Finally, GST Constitutional Amendment Bill passed in Rajya Sabha. In the biggest tax reform in Indian history since Independence, the Goods and Services Tax (GST) Constitutional (One Hundred and Twenty second Amendment) Bill 2014, was approved by the Rajya Sabha on Wednesday which the Lok Sabha had already approved last year on 6th May 2015. The 66-year-old Constitution, which gives power to Centre to levy taxes like excise, and empowers states to collect retail sales taxes, was amended though the 122nd Constitution Amendment Bill. The legislation was approved by the Rajya Sabha with 203 votes in favour and none against, in the 243-member House. It is an enabling amendment to the Constitution to permit the introduction of a single goods and service tax for the entire country. The core objective of the GST is to eliminate excessive taxation. 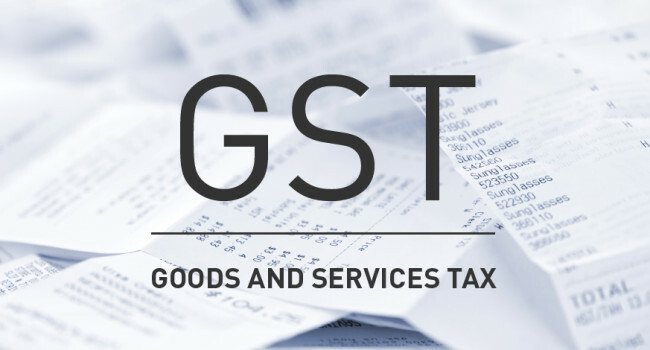 GST is a uniform indirect tax levied on goods and services across a country. Many developed nations tax the manufacture, sale and consumption of goods using a single, comprehensive tax. There is a road ahead to traverse before GST becomes reality. Here is a simplified Steps to convert GST a reality. Since the Bill was passed in the Lok Sabha last year, there have been major amendments to it. So it will go back to the Lower House for approval. Once approved by both the houses, the final draft will go to the state assemblies where the government needs atleast 50% of the 29 state assemblies to ratify the Bill before it is accepted. Once the Bill is ratified by the states, it will pave the way for the establishment of a GST council to finalise key things like the GST rate — which is still not finalised and a key debating point — the extent of the indirect taxes that will be subsumed under GST, and so on. The legislation will then go to the President, whose signature will turn it into a law ahead of its rollout by the intended deadline of April 1, 2017. The government is aiming at an April 1, 2017 deadline for the rollout of the new taxation system. The next step will be the formation of the GST Council. This council will have representatives from both the Centre and states. All this will be made within 60 days of the enactment of the bill. It will decide the revenue neutral rate (RNR), the rate at which there will be no loss in aggregate central and state tax revenue. The RNR will then get converted into a three-slab GST rate structure, depending on exemptions. Essential commodities will be charged at low rates offset by higher ‘sin’ taxes on goods considered to be luxuries. A so-called standard or GST rate will be the middle slab and will apply to most goods and services. The single GST rate will be split between and central GST and state GST. The split shares will be decided by the GST Council. 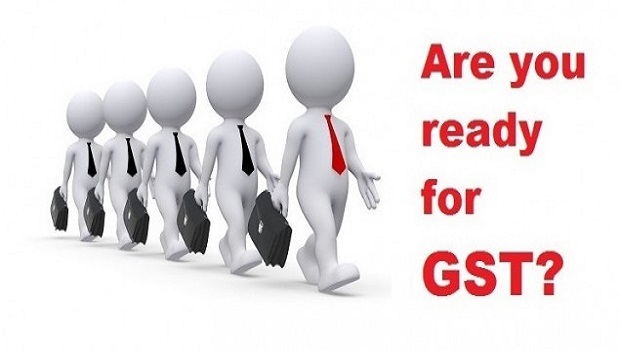 GSTC to recommend GST Law and procedure. Three more laws will need to be passed: laws on the Central GST (CGST), integrated GST (IGST) and 29 separate state GST legislations (SGST). We look forward for your valuable comments. Should You File Tax Return Even Without Taxable Income? As the last day of filing income tax return is coming near, it’s finally time for tax payers to do what they haven’t from so far. The question is it still mandatory to file return if the income is below the taxable limit of Rs. 2.5 lakh per annum. The answer is yes; under certain circumstances it is beneficial to file return even then. 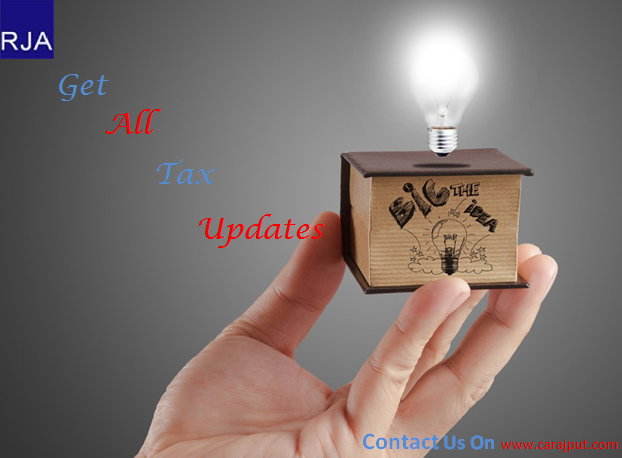 There are certain cases which are mandatory while others have benefits of filing return. One of the biggest benefits of filing return is that it helps in applying for loan in future or applying for visa etc. For clearance of any loan by lender or bank for say home loan, car loan or any vehicle loan, they ask for proof of tax return statements of past three years. So for instance, if you have monthly income of Rs. 20000 which amounts to less Rs. 2.5 lakh in a year, you are not obliged to file income tax return. But doing so can be beneficial in a long run to provide as a proof of your finances. Filing income tax returns act as a proof of your income when applying for loan as a co-borrower too. Also, from the year 2012 it has been made mandatory for individual holding a foreign asset to file for income tax return if the asset has no yield. A foreign asset may refer to any foreign account, immovable property, partnership firm etc. What happens when you file an income tax return? Let’s take an example of a senior citizen who has an income of 7 lakh which is nontaxable, in the form of tax free shares. Her taxable income is Rs. 14000 which comes below the taxable limit of Rs. 2.5 lakhs. However, she is advised to file return for the same to have it as a proof that she has an income, though not taxable. When you fill a ITR form, it has a column where you are required to show your nontaxable income. 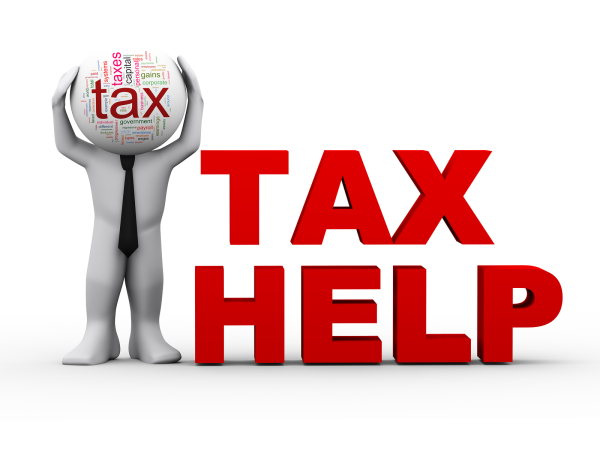 Filing for tax returns also helps in claiming tax returns or to set off the losses. You can set off the losses that may have incurred in share marketing by carrying forward them to the next year. This can be done by filing for a refund even if your annual income is less than Rs. 2.5 lakh. Even in cases of tax deducted at source or in case of income earned through freelancing, you can file for income tax return for claiming it. Last Date of filling of ITR for the A.Y. 2016-17 is 05 August 2016.